Eugenio Figueroa is from San Juan, Puerto Rico. He completed his undergraduate degree at the Conservatorio de Música de Puerto Rico. 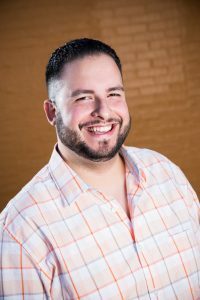 Most recently, Figueroa has been studying at the Hartt School where he completed his master’s degree in Suzuki Pedagogy and has begun the challenge of a doctorate. After an early introduction to the piano, it was during an arts-based middle school program that Figueroa picked up the viola. He wasn’t sure he wanted to be a professional musician until just before college. Figueroa heard about the IRIS Fellowship through Dali Quartet member and IRIS musician, Adriana Linares. Figueroa is teaching at Snowden Optional School in grades 4 through 8.